There were cakes and pastries for breakfast every day in Naples, so I had no shortage of sweets. Still, there were some additional specialties of the city that I made sure to try! First up was the sfogliatella at Pintauro at Via Toledo 275. Many tourists must come just for the sfogliatella, because he just signaled to me with his finger, "1?" and knew what I wanted. I paid, then waited my turn at the counter for the other clerk to give me my order. There were a lot of people waiting, that the cashier stepped in to enforce the order in which we ordered - that was helpful because otherwise I'm not sure if I would have been pushed aside by people who came after me! So what is the sfogliatella? It's a flaky pastry with the most mesmerizing appearance! Just a work of art on its own. Still warm when I got it, there's quite a bit of oil here which gives the pastry a crunchy texture outside. The inside is a cheesy-crumbly mixture of ricotta and egg and candied orange peel. 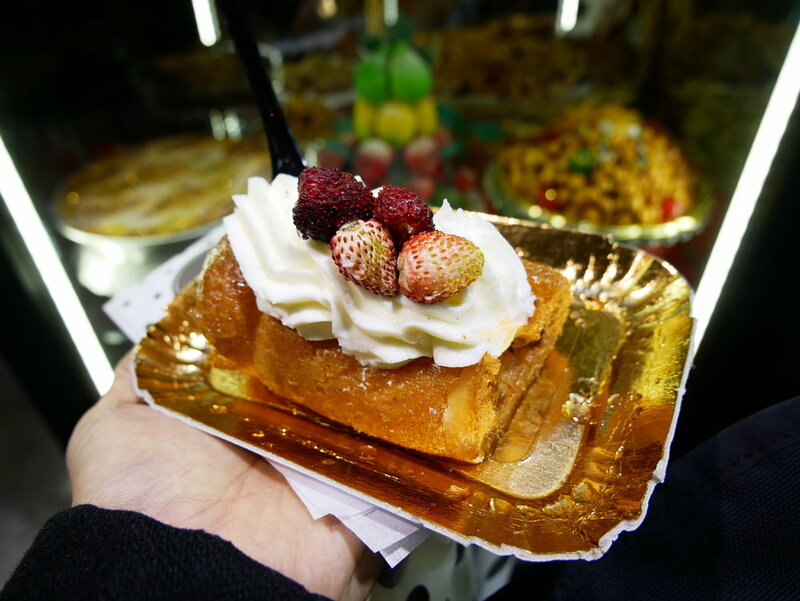 It does lay on the sweet side of the scale of pastries, and is quite rich so it's perfect a snack on a day of intensive walking around the city. 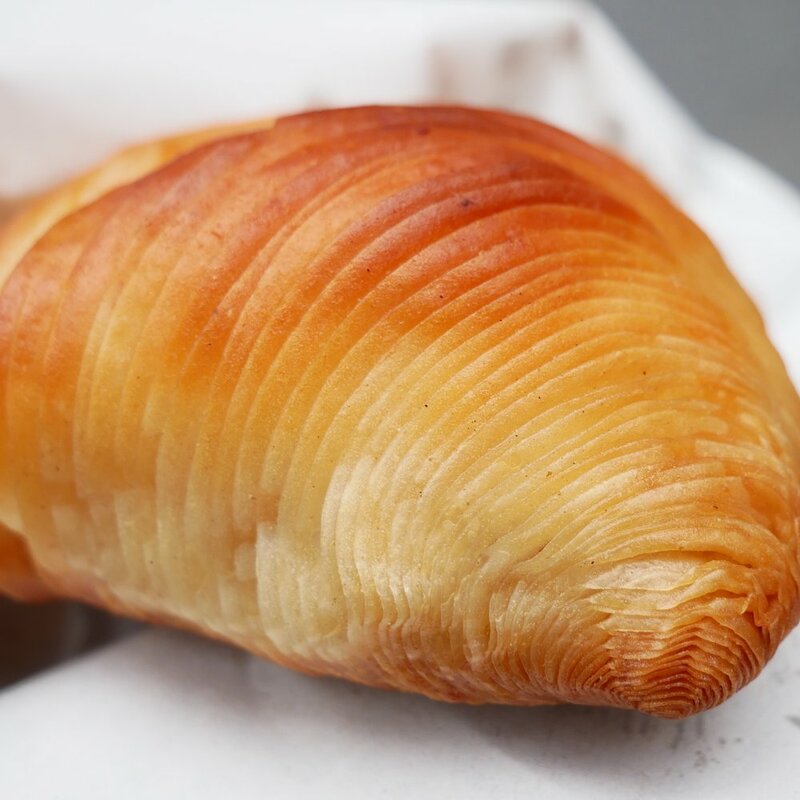 The sfogliatella's sibling is the sfogliatella frolla, made with a shortbread (cookie) crust instead of the flaky pastry. 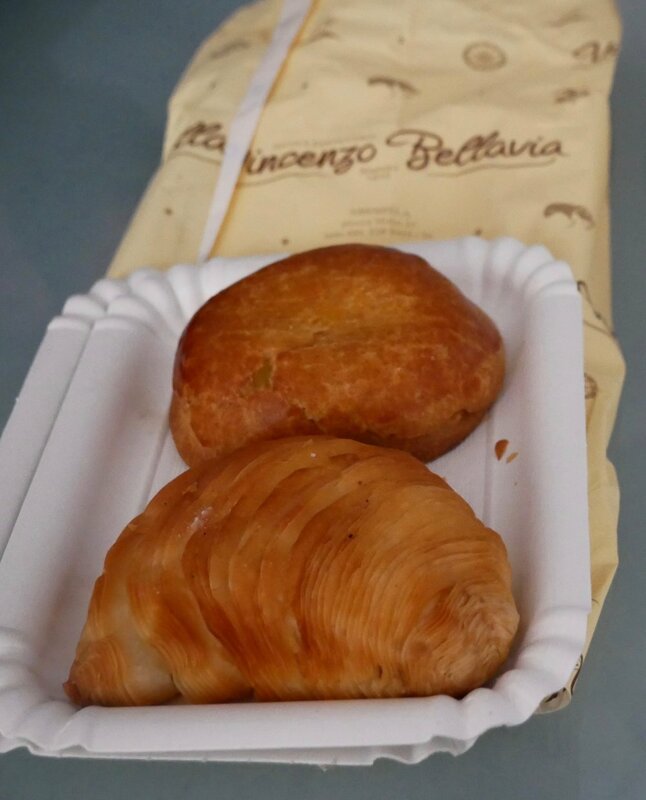 Here you can see it above the sfogliatella, both bought from a bakery with a branch in the airport. The filling is the same, so again, quite rich. On my last day, I went to Leopoldo at Via Benedetto Croce, 30/31, one of several branches around town. This picture shows this side of Naples well: a rather chic café on the inside has an exterior covered with graffiti. Here I tried the baba au rhum, or rum baba as some of us know it. The Renaissance Naples actually had a large one cut into segments at the breakfast buffet(! ), but I wanted to try the version with whipped cream. This version, with strawberries added too, is my preferred version. The creaminess of the cream balances the sharpness and sweetness of the rum syrup, making for a decadent, yet cohesive dessert. 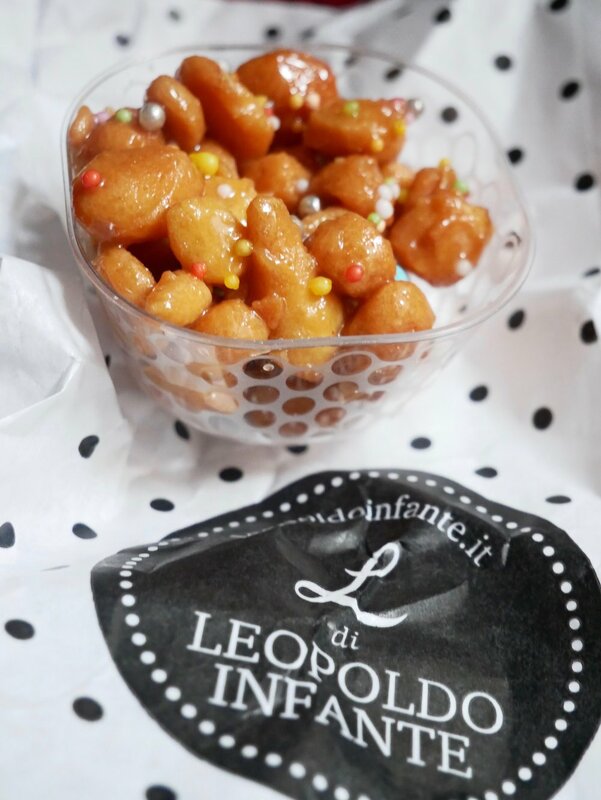 I also bought a specialty of Christmas, a bowl of struffoli. These are little balls of dough, fried, then tossed with a syrup. Quite similar in concept to other fried-dough-and-syrup desserts around the world (like piñonate from Andalucia or saqima from China), this version is dressed up with sprinkles for the holidays! So, in addition to being the birthplace of pizza, and having a robust coffee culture, Naples also boasts several unique and decadent desserts. There was more than enough here to make a wonderful culinary weekend trip!